A three story high former tweed mill built from rubble to the north-west of the Bridge of Dochart around the area of Millmore. 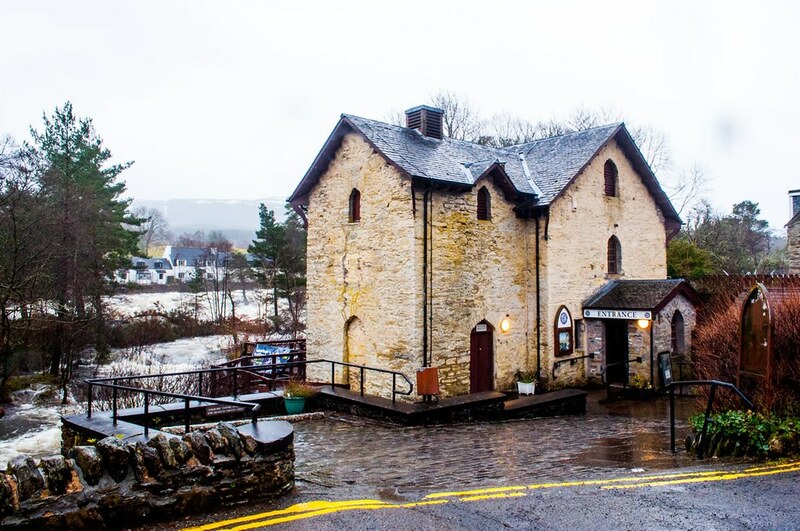 The mill stands on a traditional site occupied by a succession of meal mills, the earliest of which is said to have been erected by St Fillan. The mill was built circa 1840 by John Campbell, 2nd Marquis of Breadalbane. Traditionally, the mill did not turn on St Fillan’s Day on the 9th January. In 1910 the building was described as a tweed mill when taken over by the Graham family who discontinued water power. Until the 1960s the family continued to weave wool into cloth thereafter the building was used as a shop for their woollen goods. Falling in disrepair in the 1970s the building was bought by Stirling District Council in 1988, the local community raised £11,000 to contribute towards the purchase but received no ownership stake in the building. In partnership with the Killin Heritage Society the building was refurbished in 1989. In 1994 the restored and converted mill was opened as a visitor centre named the Breadalbane Folklore Centre. 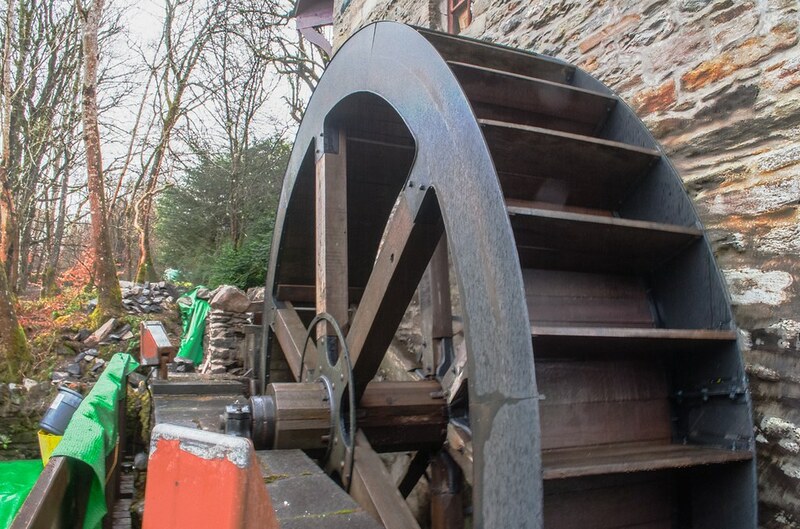 A new wooden walkway was built around the building to provide an close look at the renovated waterwheel in action. The Folklore Centre closed at the end of the 2011 tourist season. The building is currently being used by Killin and Ardeonaig Community Development Trust as a thrift and gift shop and hosts workshop and classes, with hopes that this can be run as a sustainable enterprise to maintain the building. Keys to Inchbuie, the burial island of the MacNab chieftains can also be borrowed from the Mill. St Fillan’s healing stones are a set of eight water-worn stones said to have been blessed by the Saint. The stones, which range in size from small pebbles to large cobbles, were kept safely in a niche in the wall of the Mill. The stones are currently kept on the first floor of the mill and are available for use by appointment.